Enter a keyword that describes your topic. 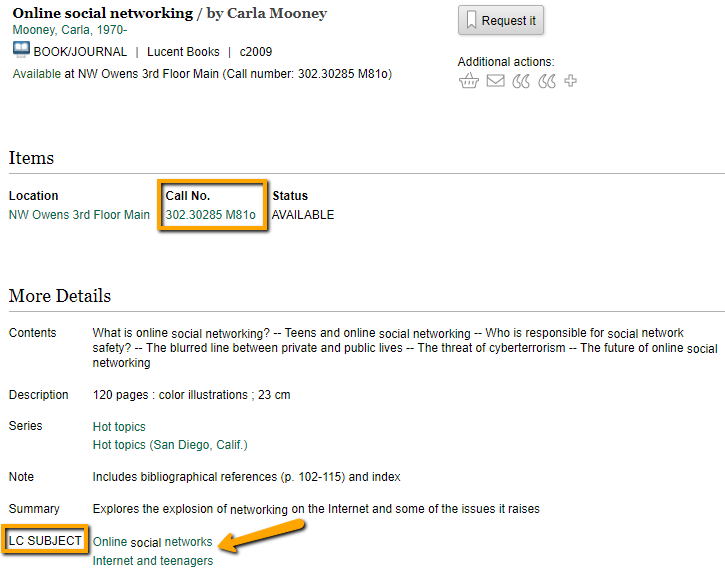 In the library catalog, it is usually best to keep your search simple. Examples: bilingual education; gothic architecture; greek utopias; cochlear implants. Review the search results page for relevant items. The results page includes basic information on an item like title, publication date, format, and where the item is located. 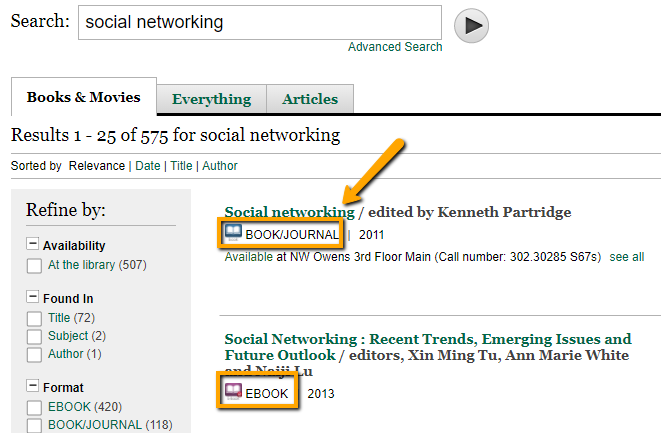 The purple e-book icon means the book is accessible online, through our e-book collection. The blue book icon means the book is in our physical collection, and can be found in the library. When you find a relevant book, click on the Title to see the full record. The full catalog record includes subject headings that describe what a book is about. To find more books with the same heading click on that heading.